National Geographic photographer Robb Kendrick started shooting pictures when he was 15 years old and developed that interest into a lifelong career. He has traveled to 65 countries and all seven continents. Although Kendrick uses the latest high-tech camera gear, he’s got an old-fashioned side. Kendrick cherishes shooting tintypes, a wet-plate process photographers used in the 19th and early 20th centuries. It gives his images a vintage feel and helps keep this technique alive. 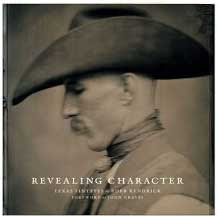 Kendrick has authored, Revealing Character, a book of modern portraits of some of the men (and one woman) who work as cowboys on Texas ranches today, captured with the cumbersome historic tintype process. While wandering the web stop at Kendrick's website and spend some time. Available on the site is a film produced by National Geographic that takes you through Kendrick's process of making a tintype. It gives you a glimpse into the past and how difficult it must have been to make those first photographic images. Kendrick's site is well worth the time for any lover of old photographs who yearns for those days of yesteryear. I think it will bring a renewed appreciation of the past and a sigh of relief for the present. I'm so glad you liked this and sent it on to the next generation. 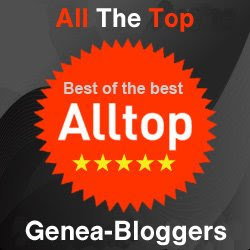 I am chasing down a modern daguerreotypist for an article. That should be good as well. Reminds me of Jonathan Danforth, who creates modern Daguerreotypes from scratch -- or from an existing image. Someday when I have oodles of money I'm going to hire him to create a trickster Dag with half-hidden anachronisms like a digital watch or an iPod or a cell phone. I love learning how these historical methods work almost as much as I enjoy gazing at the results. Sally - Your idea has me so intrigued. If you get that dag made, please write about it for Shades. In the bridal issue there was a Mennonite bride that my husband said looks like she's listening to her iPod. We call her the iPod Bride. Oh my! I watched that video....how fascinating! I have serious photographer friends on Facebook that I must share that with! I am SO impressed! Lisa - Thank you, so glad you liked this post. Share away. That film impressed me as well.